Senator Janet Nguyen is proud to inform the community that Assemblyman Rob Bonta has pulled Assembly Bill 22 (AB 22), effectively ending an effort to allow Communists to work for the Government of the State of California. Assemblyman Bonta’s decision not to pursue the bill came after hearing the concerns of the Vietnamese-American community and residents throughout the State of California. Senator Nguyen personally received this important update regarding the future of AB 22 directly from Assemblyman Rob Bonta. Just a few hours prior, AB 22 had been referred out by the Senate Rules Committee and was set to be reviewed by the Senate Public Employment and Retirement Committee. “I hope that AB 22 will now serve as a reminder to the Vietnamese-American community that we must remain vigilant of legislation under consideration by the State Legislature. This is not the first time that a bill of this nature is considered and sadly, it will probably not be the last,” said Senator Janet Nguyen. 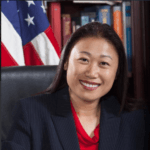 In an effort to defeat AB 22, Senator Janet Nguyen had been working with Assemblymembers Ash Kalra and Kansen Chu, who respectively represent the Vietnamese-American Community of San Jose. 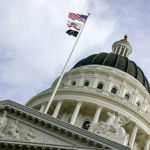 In addition to these joint lobbying efforts, Senator Janet Nguyen had also been garnering community support against AB 22 via a petition that garnered thousands of signatures. Just today, Senator Nguyen had also announced the creation of the ‘Committee to Defeat AB 22’. The Committee, composed of Vietnamese-American organizations and individuals from throughout the State of California, sought to provide a mechanism for the Vietnamese-American community to voice their opposition and to present a unified front. Despite this great news, there is still a mechanism by which any member of the State Legislature could still revive the proposal at any time until July 21st, which is the deadline to hear bills in committee.